Statement by President Adama Barrow on the just concluded Parliamentary elections and the post elections violence in Foni. Good evening Fellow Gambians and friends of The Gambia. 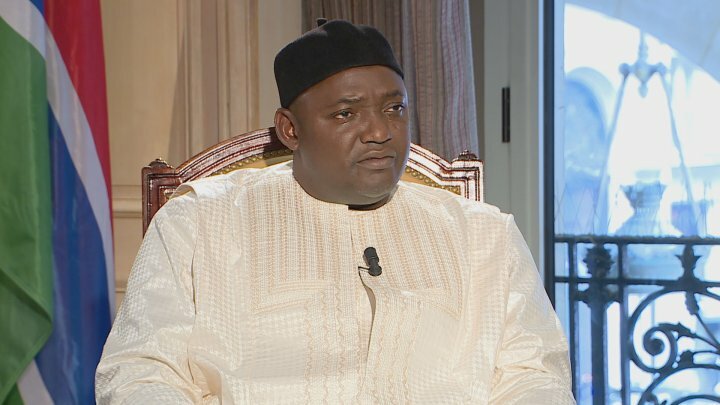 “Today I am delighted that Gambians have demonstrated that they want to nurture the change they have made in December 2016 Presidential elections. We have chosen our representatives through the ballot box and sent a clear signal that The Gambia has the power to decide and has indeed decided on who to represent them in the National Assembly. On the 6th April, Gambians entrusted their votes to 53 candidates out of 238 across the political parties, who vied for the National Assembly. I thank all Gambians for going through the campaign in a mature and peaceful manner to canvass for votes. The unprecedented number of candidates in this National Assembly election is a manifestation of the freedom Gambians have begun to enjoy since the change of government in December 2016. This is one of the first great achievements of the new Gambia. We would continue to ensure that the desire of Gambians to have freedom of expression and association is respected and entrenched. We have ensured that the law that puts a financial barrier to the effective participation of citizens in elections is reviewed. Thereby, the deposit for National Assembly elections was reduced from GMD50,000 to GMD5,000. This made it possible for more Gambians to exercise their rights to run for a seat in the national assembly, and thus 239 candidates were initially registered with the Independent Electoral Commission.